We run our intensive short courses at our retreat center in Hawaii on a by demand basis. This course attracts a large number of students from around the world who want to combine their training with a holiday. Hawaii provides a beautiful, natural backdrop to our courses which are located outside of the main tourist areas to provide an opportunity to get away from daily life while both experiencing the full power of Raynor massage treatments and learning how to give these treatments. You can request us to come and teach a massage course anywhere in Hawaii. We usually require a minimum of 4 people. See group packages for more details. Also you can email us and put your name down for any future Raynor massage courses in Hawaii. 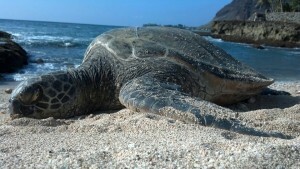 You can learn in any of the following locations in Hawaii – Oahu, Kauai, Big Island or Maui. Put your name down and we will arrange a course for you. We have been teaching internationally since 1999. See our facebook business page for more information and student testimonials. 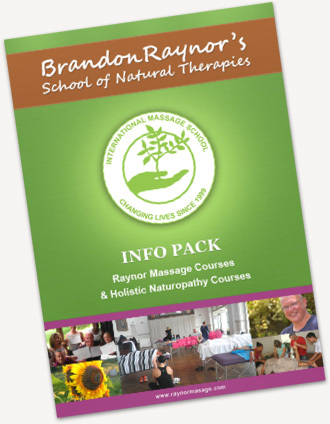 Brandon Raynor talking about different aspects of the Raynor Naturopathic massage courses. The retreat center where we hold our courses is based on a 17 acre organic farm, the farm has a cafe (open to the public) that provides wholesome, organic, healthy meals which combined with the massage you will receive on the training, will enhance your own health and well-being while you train. Raynor Massage is a powerful massage and is rooted in an holistic understanding of the body, so the whole food will provide the nutrients it needs to be able to get the most from the massage and the training. At the heart of Raynor Massage is an understanding that the body works best when it is free from tension, as a student in our courses you will learn by observing the teacher massaging, from being massaged yourself and from massaging others. The course itself is both an education and a treatment.. In Hawaii we offer all levels of our intensive massage courses so you can train to work in just 5 or 10 days. There are separate regulations though if you plan to work in Hawaii. Learn more about our 5 day Certificate Course and 10 day combined Certificate and Diploma Course. Taking the Diploma course in Hawaii also qualifies you to attend our 5 day Advanced Diploma Course. Our massage courses were developed with the learner in mind by a therapist who has been practicing in the field for many years. They are hands-on and individualized courses, designed to get you massaging from day one without spending time on theory that you never use. In our massage courses you will learn to develop your sense of touch, enabling you to detect muscle tension and blocked energy in its many forms, layers and channels in the individual patient’s body. You will learn to trace problems to their source rather than just treating them locally. For more information please see the articles What is Raynor massage, and What is Chi. A massage that can actually release the tension and frees the body’s subtle energies on its deepest level works wonders with emotional and physical ailments, as many emotional problems actually have physical interaction. Our cutting edge approach to therapeutic massage is one of the best remedies to treat anxiety, depression, deep seated emotional disturbances, stress and can assist in healing back pain, various injuries, repetitive strain injury, pinched nerves, sciatica, muscular spasms, aches, pain, stiffness, migraines, arthritis, scoliosis, and some forms of immobility. Shuttle/bus services are easily available from the airport! Check our Brandon Raynor School of Natural Therapies Hawaii Retreat Facebook page for all the details and local sightseeing information and activities. Accommodation is available with the centre, please use the Contact Us form to discuss this, it is also possible to book extra nights at the start or end of your course for the additional fee of $45 + tax per night. 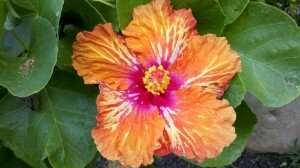 For details of the accommodation you can visit the farm’s websites at asihawaii.org or kahumanafarms.org. Please click here to read some of the most Frequently Asked Questions by potential students. If you have others please use the Contact Form to email your questions and we would be happy to answer them for you. The very best of Oahu’s north-west beaches is to be discovered at Makaha, where the mountain views are at their most dramatic, the sands at their widest and the surf at its wildest, in winter months, but serene and gentle enough throughout summer. Surfing championships are held here throughout winter, and it is world famous as an international surfer’s hangout with several low rise condominiums and vacation rentals discreetly nestled within residential areas preserving the areas uniquely Hawaiian style country feeling. In early summer (March-May), you might see humpback whales off the coast. And there is always plentiful sea life, including people friendly sea turtles to attract divers and snorkelers all year around. South of Makaha the beaches are also picturesque and plentiful, each offering a diverse landscape, beauty and swimming conditions from big waves to still waters, and are the favorite hang-outs of local Hawaiian families. 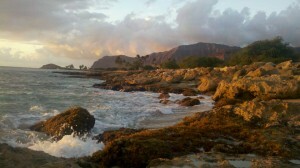 All the beaches on the Waianae coast offer gorgeous views with good swimming, life guards and are one of the best areas for camping with lots of state beach parks and a best of all uniquely Hawaiian atmosphere that radiates the true spirit of aloha.